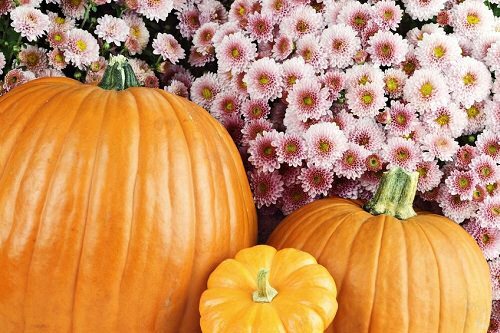 Decorate your wedding and reception venues with a plethora of beautiful fall flowers. Sunflowers, chrysanthemums, daisies and tiger lilies are all great options. For a more elegant look, opt for roses in autumnal colors and accent the arrangements with miniature pumpkins, gourds, acorns and greenery.